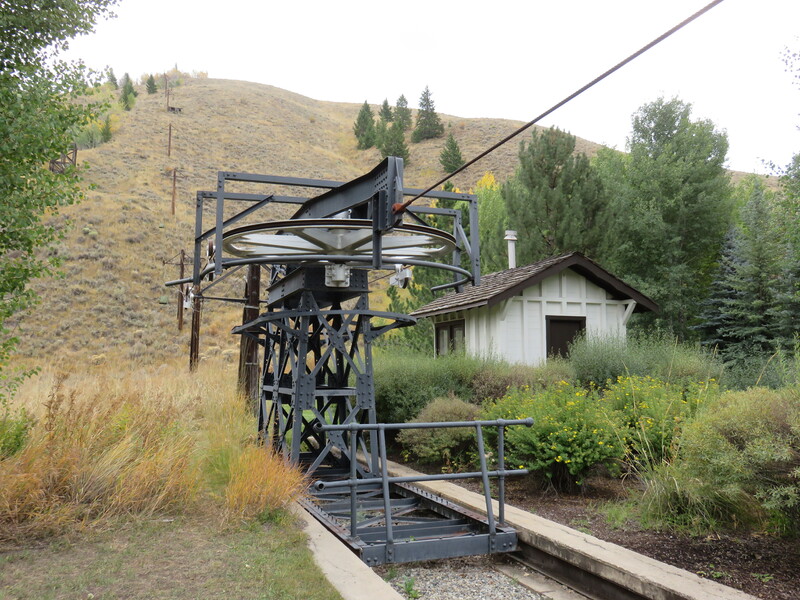 The Ruud Mountain chairlift in Sun Valley is on the National Register of Historic Places. Wooden towers on Ruud Mountain. 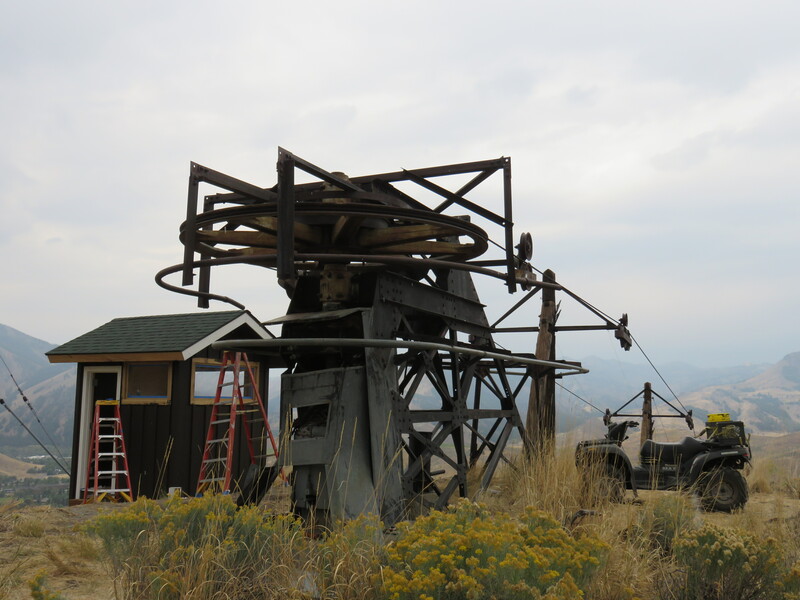 Just down the road from Dollar you can go back in time to Ruud Mountain, where the world’s third chairlift still stands among 10-bedroom mansions and two holes of the Sun Valley Golf Course. 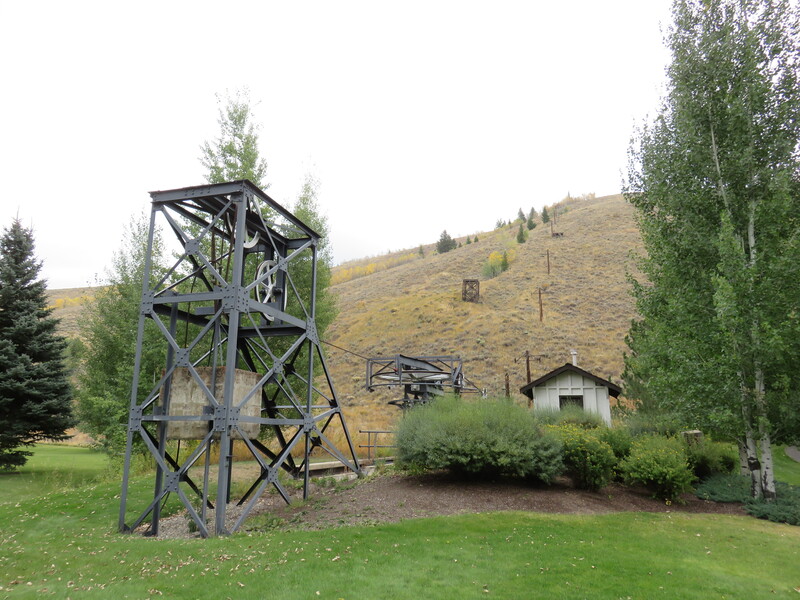 The Sun Valley Company has preserved Ruud Mountain pretty much as it was during World War II with its chairlift and ski jump. The top-drive, bottom-tension lift shows just how little the fixed-grip chairlift has changed since it was invented. The bullwheels have rubber liners but the sheaves don’t. The top drive terminal is getting a new lift shack thanks to the Sun Valley Company. The bottom shack has an awesome wood stove inside. The Ruud Mountain lift isn’t the only one of this generation you can still find standing. Two even run for the public at ski areas in Alaska and Michigan. One of Baldy’s original single chairs lives on at Mt. Eyak and another from Dollar is the Hemlock lift at Boyne Mountain (although it now has Riblet double chairs.) 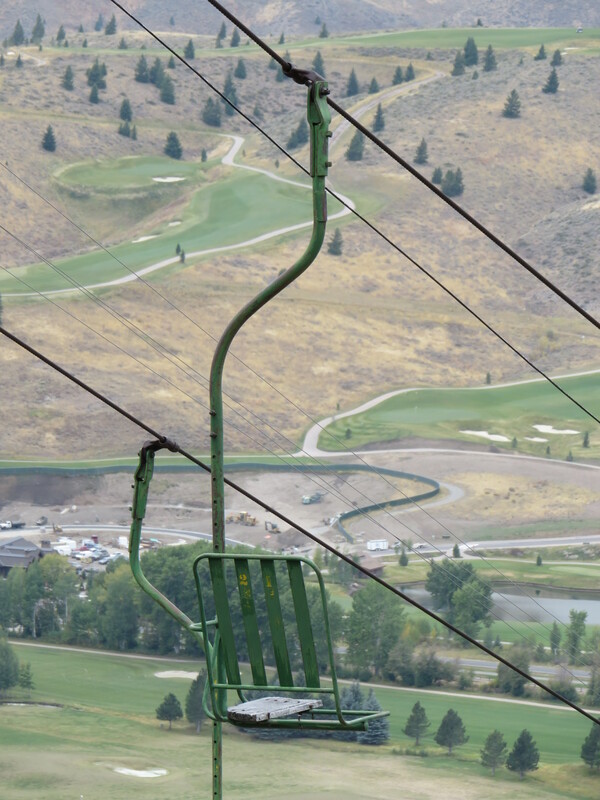 If you’d like to check out Sun Valley’s preserved single chair, just follow Fairway Road from the Sun Valley Resort. 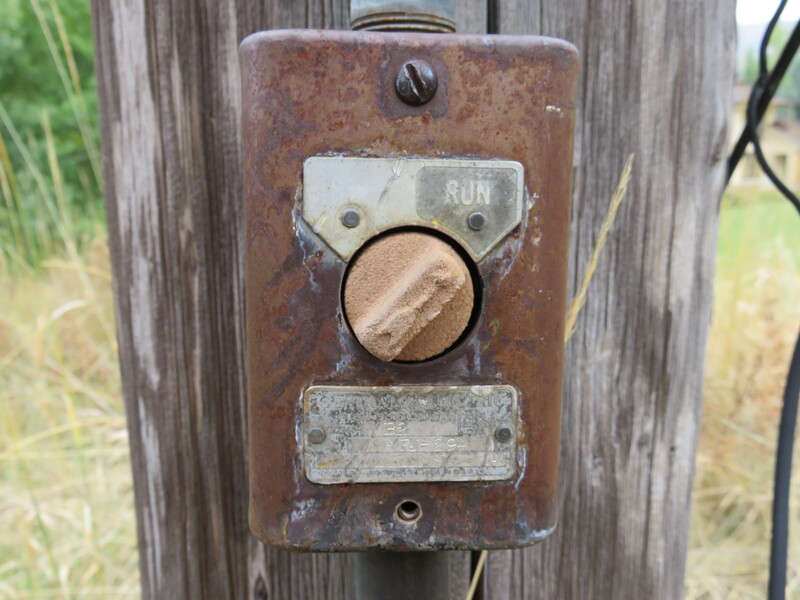 You can also access the top terminal from the trailhead at Trail Creek Cabin. Original single chairs are (mostly) still on the line. The chair at Boyne Mountain has been rebuilt by Riblet (towers, chairs, sheaves,…) and only the two terminals are left from the original Dollar Mountain chair. Could they run the lift with nobody on it? The great ski filmmaker Warren Miller rode the tow in the late 1940’s. He commented that it was easy to bounce and get thrown off you didn’t get on very carefully. 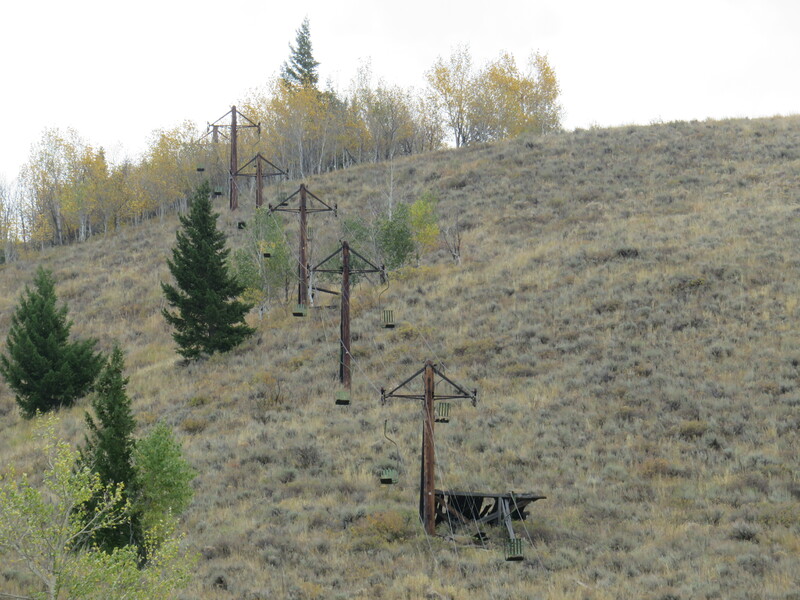 The lower foundation of the first chairlift at Proctor Mountain can still be seen. It’s in a field about a mile up on the south branch of the Proctor Mountain trail. Like Ruud, the bullwheel tower ran in a track, tensioned by a counterweight in the stationary tower behind it. 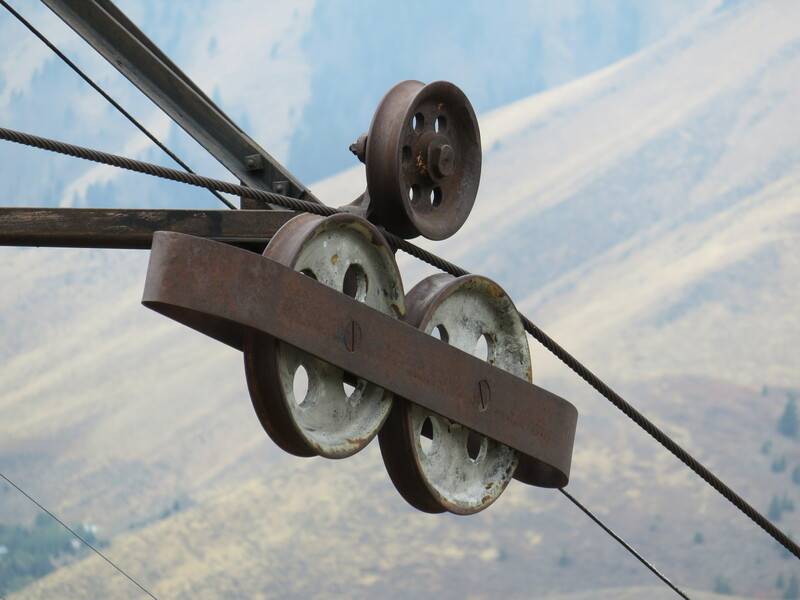 This tow was relocated to Baldy ca 1950.